The nights are starting to get cold and in the next town over, they had frost one evening so we knew it was time to get the last of our basil and rosemary from the garden inside to extend their use even longer. 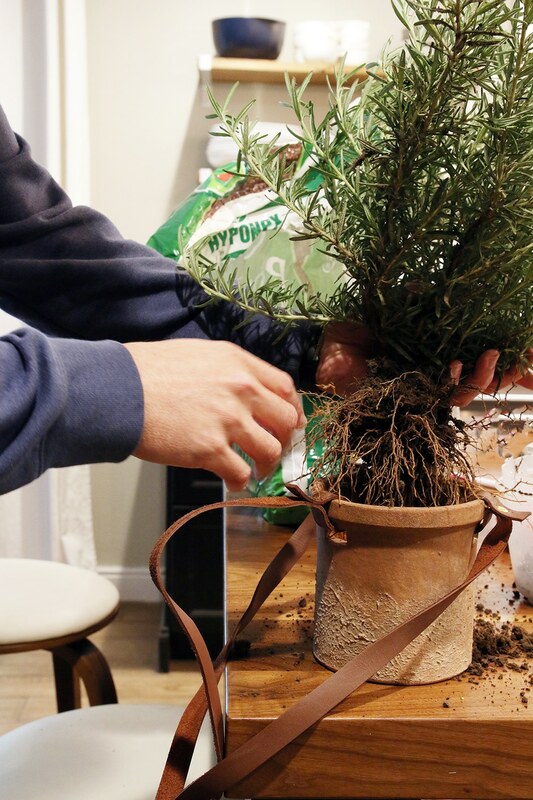 We thought about freezing the the leaves (this post has great tips about doing that), but we loved the idea of repotting them indoors so we could enjoy the freshness and fragrance, and nothing is prettier than fresh herbs in the kitchen right? While in years past, we simply put them in a pot on the counter, our rosemary was especially robust this year and we decided hanging them to keep the counters free would be best. 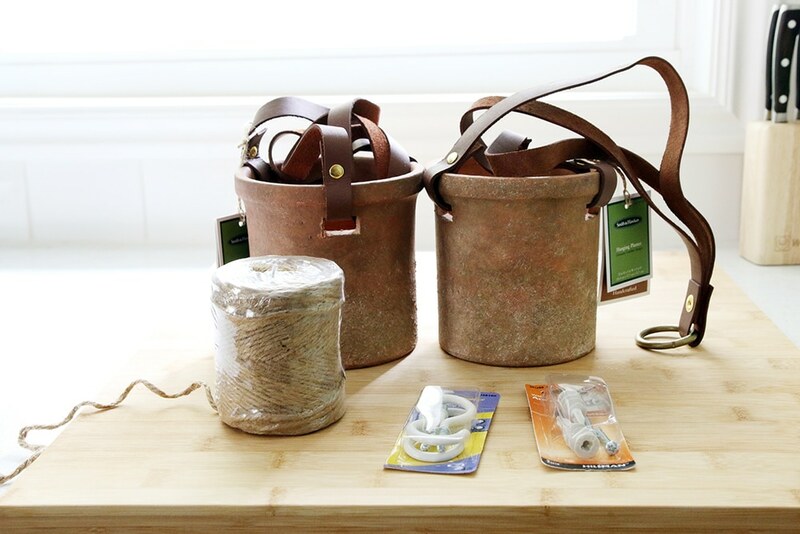 We found these beautiful Terracotta planters with leather straps at Target for $19 (!!) and knew they’d be perfect for the task. 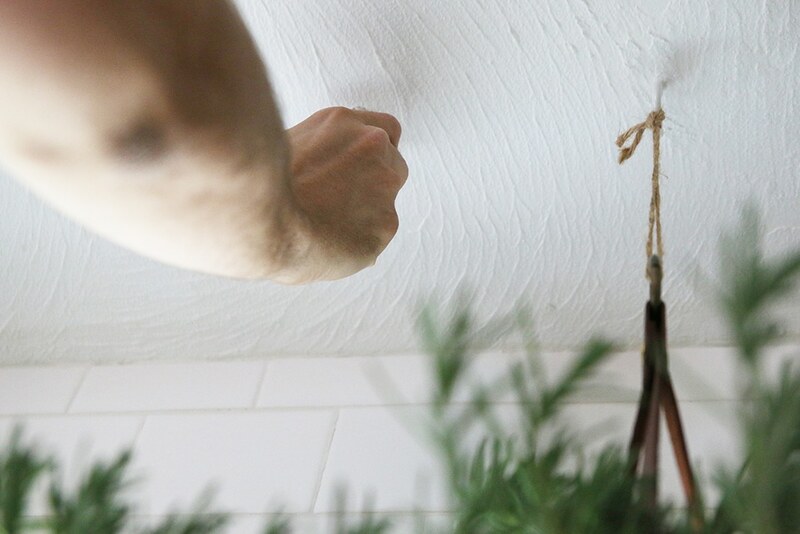 Besides the planters, for this quick project you’ll need ceiling hooks, anchors (we’re extra cautious and got the 50lb ones) and some sort of twine–jute twine pairs nicely with the leather and terra-cotta. Once the herbs were transplanted, we knew we wanted the plants staggered, but we just eyeballed where we wanted them exactly making sure they were close enough to the back wall that they wouldn’t interfere with working at the counter. To hang them, we were lucky that one hook went into a stud (no need for an anchor! ), and the other we screwed an anchor into place and then a hook right into the anchor. Then we just laced jute twine through the planter at the desired length, tied a double knot and trimmed off the excess. 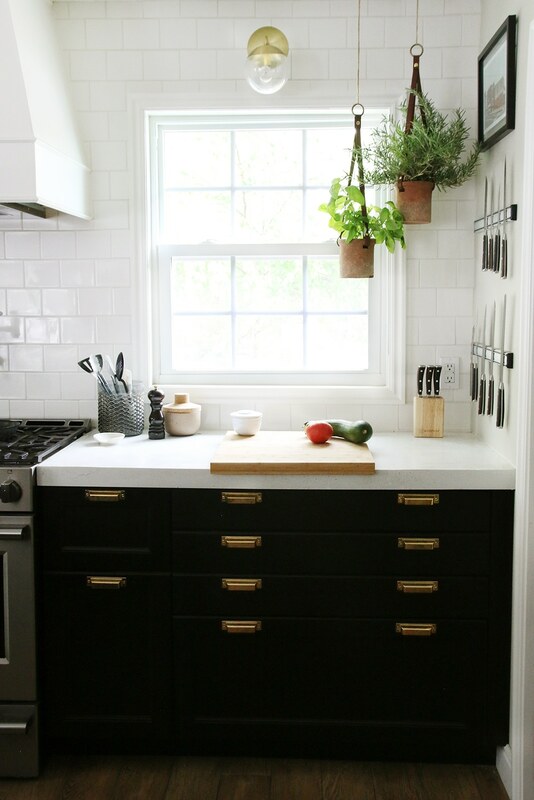 Our kitchen smells amazing and the planters add an earthy touch that any kitchen can benefit from. This particular planter also comes in black and leather, and I like this black concrete one, too. 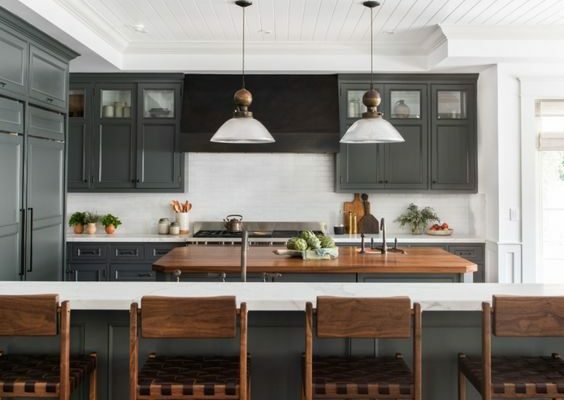 But with our black cabinets, the terra-cotta option feels just right. « High / Low : Our ARTERIORS Home Jacob Coffee Table Dupe! Such a pretty corner. And I bet it smells good too! So cute! Live plants make ever room better! I WISH we were getting colder where frost would even be a thought at this point – 89 degrees here in central NC today – I’m so ready for hoodie weather! Just a thought – if you’re concerned about security, check the strength of the jute. The hook can hold 50 lbs, but it’s only as strong as the weakest link. It looks lovely though! It would look nice to take three strands of twine and braid them, which would also provide extra strength. ? They look really pretty in that spot! So cute! 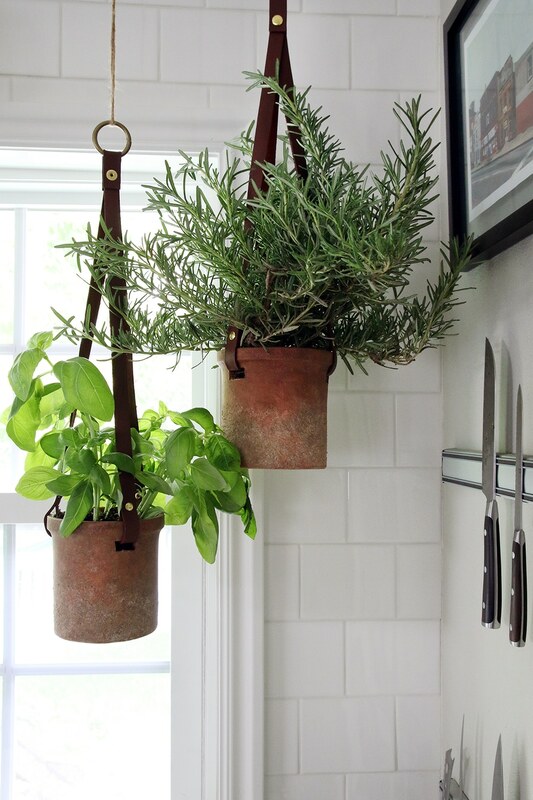 I’ve been trying to think of a way to add some greenery to our kitchen: this would be perfect :) Thanks for sharing! Love this!! Question about the hook you had to anchor. 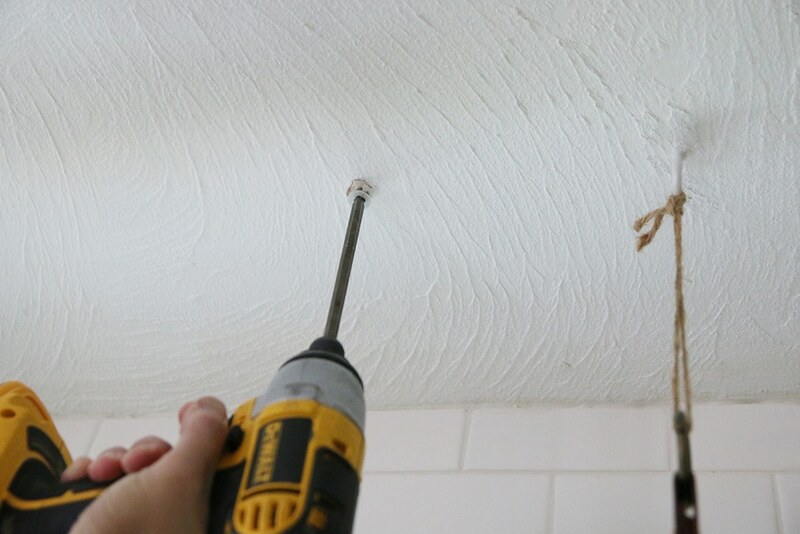 Most ceiling hooks I have seen have this T shapped toggle anchor which basically flattens on to the other side of the ceiling. But the hooks are ugly…..I like these simple ones better. Are you worried that because the anchor is straight it might pull through the ceiling? Not really. The pots aren’t very heavy at all, and one is in a stud, which is ideal. The basil is lightweight and seemed really secure when we tugged on it. Target is KILLING IT recently. Love these planters!! 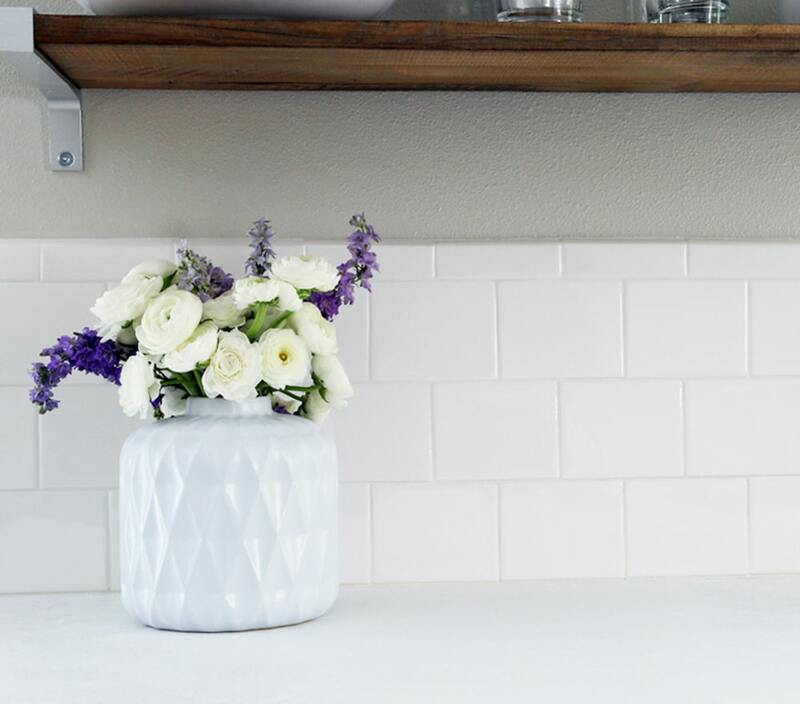 The hanging planters look perfect in your kitchen! Practical and pretty, doesn’t get much better than that! No drainage holes but the tag said something about the pot absorbing excess moisture or something. I should have kept it! What USDA zone are you in? I’m in 7 and my rosemary always makes it through the winter – if it’s a particularly harsh winter I’ll wrap it in burlap to protect it from the wind, but last winter I didn’t even have to do that. LOVE these! 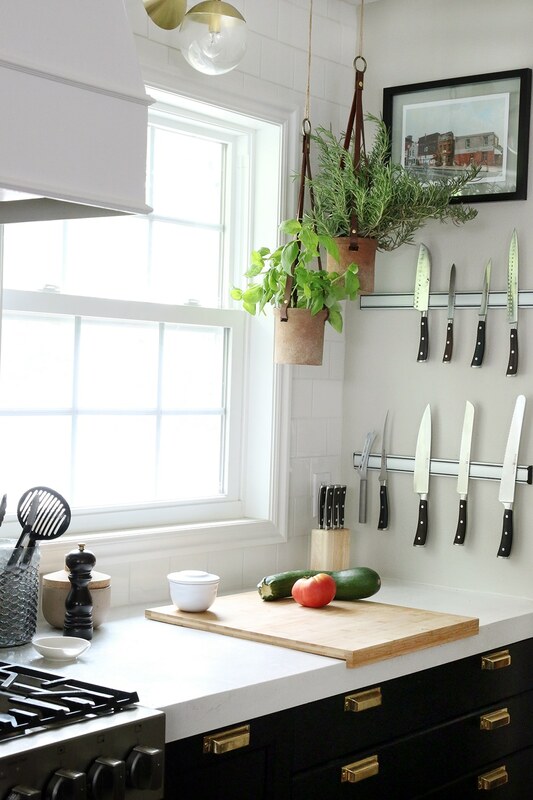 We’re opening up our one window kitchen with a wall of windows behind the sink and this would look lovely there! Also, I’m really eyeing the knife magnet bar you got ! Such an handy item ! I’ll have to find a place to put one !! 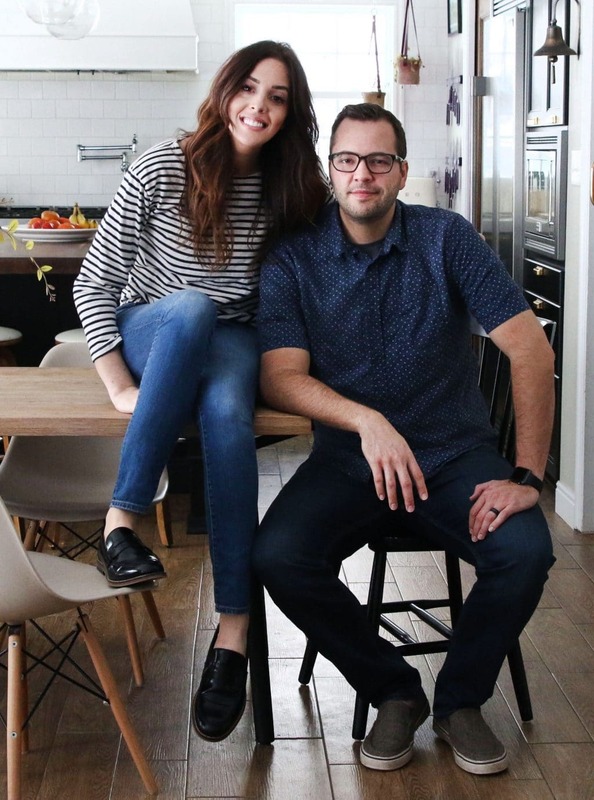 You always inspire, each and every day :) really LOVE your blog !